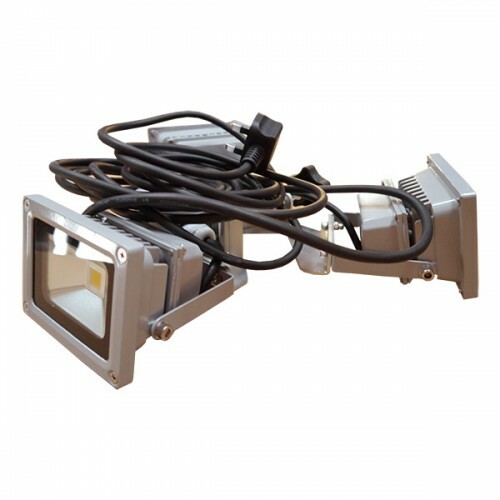 Our 3 Way LED Gazebo Lighting Kit is 240v mains powered, with three LED low usage adjustable lights. 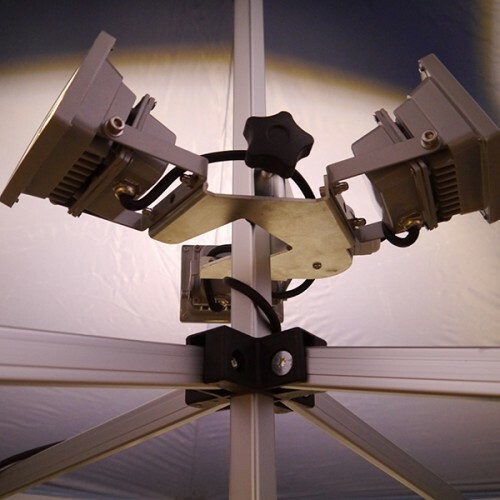 Quick and easy to install, this gazebo lighting unit is ideal for exhibitions, outdoor events, markets and celebrations/parties/BBQs etc where light is needed to illuminate the inside of your pop up gazebo. 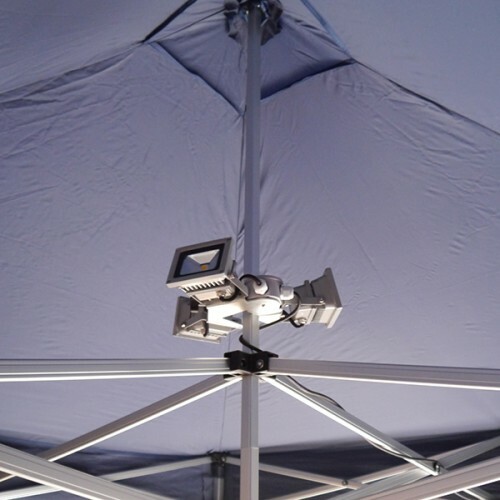 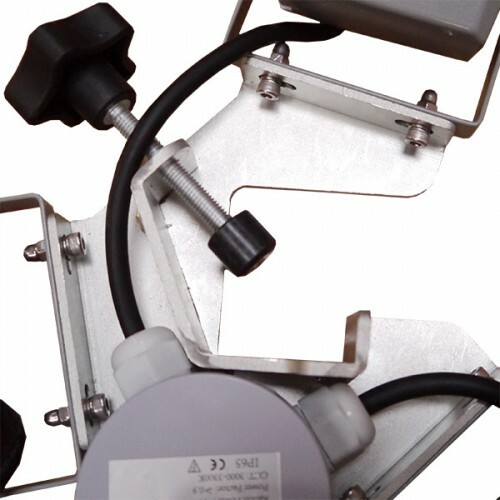 The clamp has been designed to attach to the centre pole of any of our pop up gazebos.